If you think you have what it takes to compete against the likes of Adam Logan and other Scrabble masters, like Nigel Richards and Geoff Thevenot (who came in 2nd and 3rd place in the 2011 TOSI), then you've got to get out of your living room and start playing in some local clubs so you can start getting used to the rules. But wait… you already know the rules. Or do you? 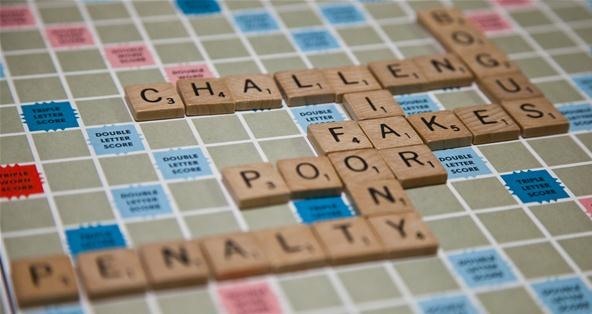 The competitive Scrabble world is a completely different beast than playing at home with your grandmother or online with your Facebook friends. There's guidelines to follow, and I'm not talking about the rules on the underside of the box's lid. I'm talking 33 pages of need-to-know details, which can be found in the Official Tournament Rules by the North America Scrabble Players Association (NASPA). For instance, did you know you have to be a paid member of NASPA to compete in tournaments in Canada and the United States? 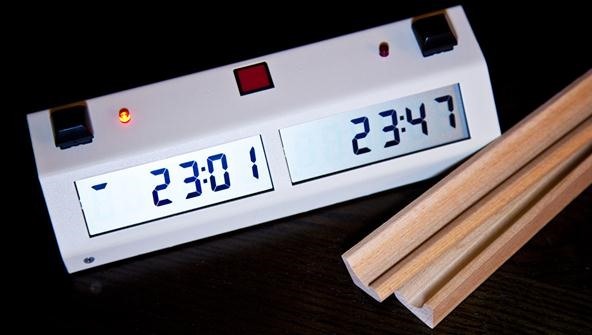 And did you know that all games require a clock (either digital or analog) that shows both minutes and seconds? Did you know you could actually incur penalties against your score for doing things incorrectly? And when using blank tiles, that you have to write the designated letter on an appropriate slip that's clearly placed in-between the players? 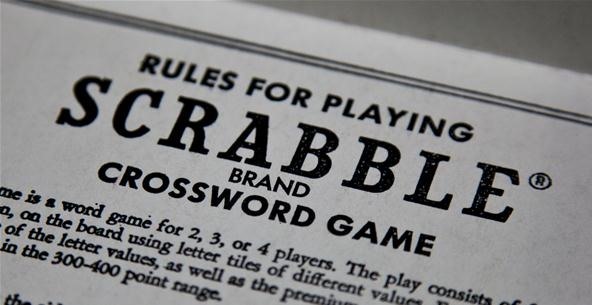 If you didn't know any of the above, it's time to look over the rulebook before you start competing to be the next National Scrabble Champion or World Scrabble Champion. To give you an idea of some of the stuff detailed, I've highlighted 10 dilemmas that you may come across when playing in a tournament game, and what should be done to correct them. If you're serious about vying for money in the Scrabble world, you should start playing this way at home, with friends and family, before moving onto clubs... and then to actual tournaments. Note: The rules may be different for games outside of North America. To see the details for playing in international games, check out WESPA's Game Rules. Player A goes to Player B's board and notices that the tiles are faded. Solution: Faded tiles are not preferred, so Player A can force Player B to use non-faded tiles, if available. 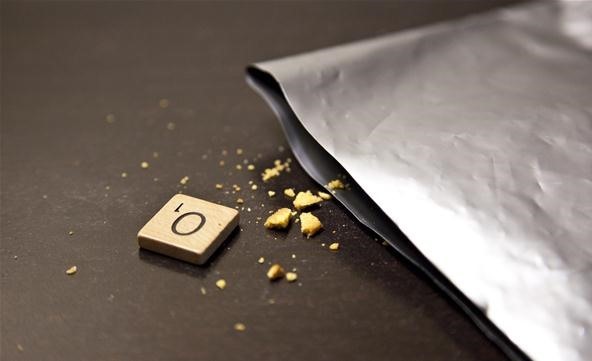 What if a game is finished, but later a tile is found left in the bag? Solution #1: If it's found within 20 seconds of the game ending, and both players have not signed/initialed the scoresheet, then the player who would have originally drawn it gets it and the game continues if both players now have at least one letter on their racks. If Player A depleted his/her rack and ended the game, but Player B was to get the new found tile, then Player B adds the value to the total subtracted from his/her score, and Player A adds it to his/her final score. Solution #2: If it's found after 20 seconds, it's ignored. Player A says that s/he is going to exchange letters, places the unwanted letters face down on the table, and starts Player B's clock. Player B notices that there are not 7 tiles left in the draw bag (there is no exchanging when there are less than 7 letters left in the draw bag). Solution #1: If no newly drawn tiles were placed on the rack and no exchanged letters were placed back in the bag, the new tiles drawn are returned to the bag and Player A must pass his/her turn. Solution #2: If no newly drawn tiles were placed on the rack, but at least one exchanged letter was placed back in the bag, Player A must re-rack any original tiles not put back in the bag yet. Player B can then expose all of the tiles left in the bag and handpick Player A's new tiles. Then Player B puts the remaining tiles back in the bag and Player A's turn is passed. Solution #3: If at least one newly drawn tile was placed on Player A's rack, add up the number of the new tiles drawn. Player B should then expose all of the tiles in the bag face down, take the number of newly drawn tiles from Player A's rack, plus 2 additional tiles, and mix them all together. Player 2 then replenishes Player A's rack from the face down letters and puts the remaining ones back in the draw bag. Player A's turn is passed. Player A notices that Player B has several scoresheets on the game table when starting the game. Solution: Player A should ask Player B to remove the extra scoresheets from the table. Old scoresheets are not allowed on active tables. If for some reason Player B refuses, Player A can grab the director, who will force Player B to remove the old scorecards anyway. 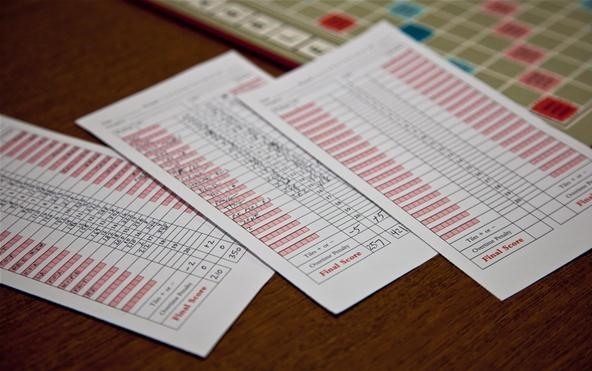 PS: If you want some printable Scrabble scoresheets, head on over to John Chew's site to pick and choose from the options. There's other paper supplies, too. It's seems impossible, but what if Player A makes the first move of the game, announces the score, then starts Player B's clock, but somehow managed to not place one of his/her letters on the center star square? Solution: Of course, Player B can challenge the word off, no matter if it's a legit word or not, or it could stay on the board if Player B allows. However, Player A would not get the usual DWS for the first turn, and the open center star square would remain open for play as a DWS. What happens if Player A is caught cheating by the director? Solution: The director immediately (and discreetly) investigates any suspected cheating. If Player A was ruled to be cheating, s/he would be ejected and disqualified from the event. Let's say Player A places a word down, counts the value, and announces his/her total score. Player B notices that Player A under-counted her move, but s/he obviously benefits from Player A's wronged total. Is this okay? Solution: No, it's not okay. 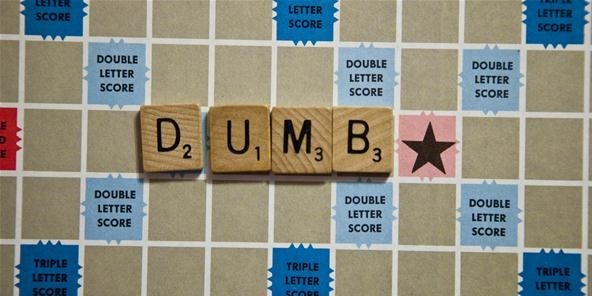 Any player who knowingly announces an incorrect score, or allows their opponent to record an incorrect score (single turn or final), is considered to be cheating. Player B should stop the clock and the mistake should be noted and fixed. Player B plays more than one word, and Player A subsequently challenges two or more of those words. 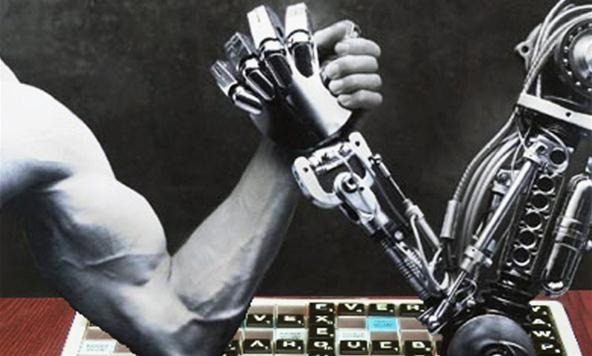 During the self-look adjudication process, when both players must input into the computer all of the challenged words at the same time, someone messes up and adjudicates each word separately instead of together. Solution #1: If both players contributed to the error during the self-check computer adjudication, then there is no penalty. Play resumes as normal and Player A looses his/her turn if the words were correct, or Player B looses his/her turn if one or more of the words was not allowed. Solution #2: If one person claims the multi-lookup error or is solely responsible for it, and if the adjudication was not acceptable, then the player at fault would get a 10 point penalty. Play then resumes as normal and Player B looses his/her turn. Solution #3: Regardless of either 1 or 2 above, if the first word entered was unacceptable during adjudication, then no further words should be entered. The person at fault gets a 10 point penalty and play resumes as normal—Player B looses his/her turn. Player A has to go to the bathroom. S/he correctly takes her turn, starts Player B's clock, records his/her score, and makes sure not to draw letters, then leaves to go to the bathroom. While s/he is gone, Player B makes a play, starts Player A's clock and does not record his/her score, but… s/he does draw letters from the bag. What happens when Player A returns? Solution: When Player A returns, the clock is neutralized and Player A takes the number of letters drawn, plus 2 additional tiles, away from Player B's letters (racked or not) and reveals them. Of those, Player A chooses the number of tiles drawn and throws them back in the bag. Player B can keep the 2 not returned. Player A has one minute to do this. If Player A would have taken his/her turn, then there would be no penalty. Player A goes out, playing a word and getting rid of all his/her letters. The game is over. When finalizing the score, Player A adds Player B's leftover tile values to his/her score, then deducts them from Player B's total score. Is this correct? Solution: Unlike the casual rules of Scrabble, this is not the same practice in tournaments. Instead, Player A adds Player B's leftover tile values to his/her score—times 2, meaning twice the total of the leftover tiles. Player B's total score is not adjusted. But…. This practice gives the exact same results as in casual Scrabble. Let's say Player A goes out and Player B has 5 points on their rack. In a casual game, you would subtract 5 from Player B's total score, and add it to Player A's total score. In a tournament, you would just add 5x2 to Player A's score, which equals out to the same spread of 10 points. The casual rules take in account the fact that it might not be just 2 players. PS: In tournaments, both players keep score. If Player A wins, s/he is responsible for submitting the signed/initialed scoresheet to tournament directors. To learn more about the rules to playing competitive Scrabble, make sure to download and study the Official Tournament Rules. If you plan on playing in games outside of North America, the rules may differ. In that case, consult WESPA's Game Rules.